“ardent anti-military stances actually mean ‘the consequences would be calamitous’ if he ever gets the keys to No 10”. And he went on to say that the Labour Party leader would pose “an enormous threat to our country if he gets into No 10”. Likewise, Defence Secretary Michael Fallon told BBC Today listeners on 11 May 2017 that the Labour leader “would be a very dangerous leader of our country” if he became Prime Minister. It is true that Jeremy Corbyn has a spotless record of opposition to British military intervention abroad in the twenty-first century – in Afghanistan, Iraq, Libya and Syria – and he has consistently voted against these interventions in the House of Commons. By contrast, the Foreign Secretary has maintained what might be called an ardent pro-military stance and backed all of them – and so has Defence Secretary Fallon and Prime Minister May. In the appalling environment created by these interventions, hundreds of thousands of people have been killed and millions more have been made into refugees. In March 2015, Physicians for Social Responsibility published a review of the various estimates of people killed in Afghanistan and Iraq in the 12 years after 9/11 during the so-called “war on terror”. They estimate that “the war has, directly or indirectly, killed around 1 million people in Iraq” and “220,000 in Afghanistan”. There was no compelling reason for Britain to participate in any of these military interventions. All of them were wars of choice. None of them was undertaken in self-defence in response to being attacked. None of them was undertaken to counter a credible threat to Britain. Indeed, as we will see, Britain’s participation in the invasion of Iraq greatly increased the threat to Britain from al-Qaeda, as the intelligence services warned in advance it would. Britain would have been safer if successive governments, beginning with Tony Blair’s in 2001, had adopted Jeremy Corbyn’s “ardent anti-military” stance and kept its troops at home. 179 British service personnel were killed in Iraq and 456 in Afghanistan and thousands more have been injured, many with injuries that will be with them for the rest of their lives. These casualties would have been avoided if successive UK governments had refused to participate in these interventions. “The approach to international security we have been using since the 1990s has simply not worked. Regime change wars in Afghanistan Iraq, Libya, and Syria – and western interventions in Afghanistan, Somalia and Yemen – have failed in their own terms, and made the world a more dangerous place. It is difficult to disagree with any of that. As an MP, Jeremy Corbyn opposed all of these interventions. Prime Minister May, Foreign Secretary Johnson and Defence Secretary Fallon supported all of them and they haven’t shown any sign of recognising the calamitous consequences that flowed from them. So, it would be unwise to bet against a government headed by them engaging in similar disastrous operations abroad, while it’s a surefire bet that a government headed by the “dangerous” Jeremy Corbyn would not. Throughout his political life, Jeremy Corbyn has taken the view that Britain should engage in military intervention abroad only if the action is authorised by the Security Council under Chapter VII of the UN Charter and even then only as a last resort. His stance is hardly surprising since the use of force by a state in other circumstances (apart from in self-defence under Article 51 of the Charter) amounts to aggression, for which Nazi leaders were convicted and hanged at Nuremberg. If asked, British governments would claim to apply the same principles but in practice they find ways of ignoring them or of stretching them unmercifully. A prime example of the latter was the Blair government’s assertion that the invasion of Iraq in March 2003 (the purpose of which was supposed to be to disarm Iraq of its “weapons of mass destruction”) was authorised by a Chapter VII Security Council resolution passed in November 1990 for the entirely different purpose of expelling Iraqi forces from Kuwait. As a veto-holding member of the Security Council, Britain can engage in this kind of creative interpretation of Council resolutions without fear of a word of criticism by the Council, let alone of appropriate punishment for taking unauthorised military action. The US/UK invasion of Afghanistan, which began on 7 October 2001, wasn’t explicitly authorised by the Security Council. How then did the Blair Government justify its participation? Believe it or believe it not, the Government claimed that the UK was exercising its right of self-defence under Article 51 of the UN Charter “following the terrorist outrage of 11 September, to avert the continuing threat of attacks from the same source” (see House of Commons Library briefing The legal basis for the invasion of Afghanistan, p4). Since the UK hadn’t been attacked by Afghanistan or even by al-Qaida which had a base in Afghanistan at the time, it is difficult to see how it could claim to be acting in self-defence. Be that as it may, as required by Article 51, the UK notified the Security Council of its action, saying that it was directed “against targets we know to be involved in the operation of terror against the United States of America, the United Kingdom and other countries around the world”. For what it’s worth, this argument relied on the UK being an al-Qaida target prior to the attack – and Tony Blair went to great lengths to prove that it was. On 4 October 2001, a few days before the bombing of Afghanistan began, the Government published a document entitled Responsibility for the terrorist atrocities in the United States, 11 September 2001. At the time, I remember being puzzled when I heard that the Government was about to publish a document about events which took place on American soil. What business was it of the British Government? The answer became clear on reading the document. It has four conclusions. The first two are that bin Laden and al-Qaida were responsible for the attacks and that they are capable of mounting further attacks. The third is the reason why the document was published: it is that “the United Kingdom, and United Kingdom nationals are potential targets” for al-Qaida. This was based on two statements by bin Laden (see paragraph 22 of the document). First, the declaration of war against the US military presence in Saudi Arabia from August 1996, which talks about the “aggression, iniquity and injustice imposed” on the Muslim world “by the Zionist-Crusader alliance and their collaborators”. Second, the fatwa issued in February 1998, which calls on Muslims “to launch the raid on Satan’s US troops and the devil’s supporters allying with them, and to displace those who are behind them”. This was a doubtful conclusion since the UK wasn’t mentioned explicitly in either of the two statements – or in any other statement – by bin Laden. Readers were not told that the explicit threat to Britain in this amended paragraph was in response to Britain taking part in the bombing of Afghanistan (which began on 7 October 2001) and would not have been made if Britain had not taken part in the bombing of Afghanistan. Now, Britain certainly was on al-Qaida’s target list – and the Blair government used this to justify the military intervention that put it on. Readers were not told that the explicit threat to Britain in this amended paragraph was in response to Britain taking part in the bombing of Afghanistan. The proposition that the UK had a right to attack Afghanistan in self-defence is, to say the least of it, farfetched. But, in any case, there was no compelling reason for the UK to participate alongside the US. Tony Blair chose to do so. Jeremy Corbyn was one of a handful of left wing Labour MPs, who along with nationalist MPs from Scotland, Wales and Northern Ireland opposed participation. Tony Blair didn’t allow the House of Commons a say in the initial decision to participate, nor in the major deployment of troops to Helmand province in 2006. The House of Commons was finally allowed a say by David Cameron on 9 September 2010, when it voted overwhelmingly (373 to 14) to “support the continued deployment of UK armed forces in Afghanistan”. Jeremy Corbyn was one of only 14 MPs who voted against. Nearly 16 years after the US/UK invasion and the overthrow of the Taliban regime there is no sign of political arrangements being established that might allow the Afghan people to live in something approaching peace. And, far from countering a threat to Britain from al-Qaida – which was the reason given at the outset by Tony Blair and repeated by later prime ministers – British participation helped generate a threat from al-Qaida, a process that was greatly accelerated by British participation in the invasion of Iraq. Today, around 500 British troops remain in Afghanistan and their final withdrawal is not imminent. On 10 May 2017, NATO Secretary General Jens Stoltenberg met with Prime Minister May and asked for more troops for Afghanistan. 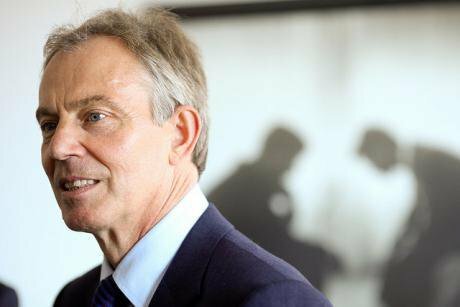 The invasion of Iraq in March 2003 alongside the US was another “war of choice” for Tony Blair. Iraq had not attacked the UK, nor did it pose a credible threat to the UK. Furthermore, despite heroic efforts by the Attorney General Lord Goldsmith to prove otherwise, the Security Council never authorised the use of force to disarm Iraq of “weapons of mass destruction”. So, Britain’s military action against Iraq constituted aggression contrary to Article 2.4 of the UN Charter. Jeremy Corbyn was one of the 149 MPs (mainly Labour and Liberal Democrat) who voted against the invasion of Iraq on 18 March 2003. 412 MPs, including Boris Johnson (and Michael Fallon and Theresa May) and most other Conservative MPs voted for it. In the debate prior to the vote, Conservative leader Ian Duncan Smith gave Tony Blair completely uncritical support in his determination to overthrow Saddam Hussein, as he had done for the previous year and more. “… the removal of Saddam Hussein will make the world a better place, but, above all, it will make the world better for the millions of Iraqis whom he oppresses”. The future Foreign Secretary could hardly have been more wrong: the human cost of the invasion and occupation for the Iraqi people has been calamitous. President Bush justified the invasion of Iraq on the basis of two false premises (1) that Iraq possessed “weapons of mass destruction” and (2) that Saddam Hussein had connections with al-Qaida and had a hand in 9/11. The awful irony is that the US/UK invasion and occupation transformed Iraq from an al-Qaida free zone into an area where al-Qaeda flourished, so much so that a year after the invasion began George Bush described it as “the central front in the war on terror”. You couldn’t make it up. 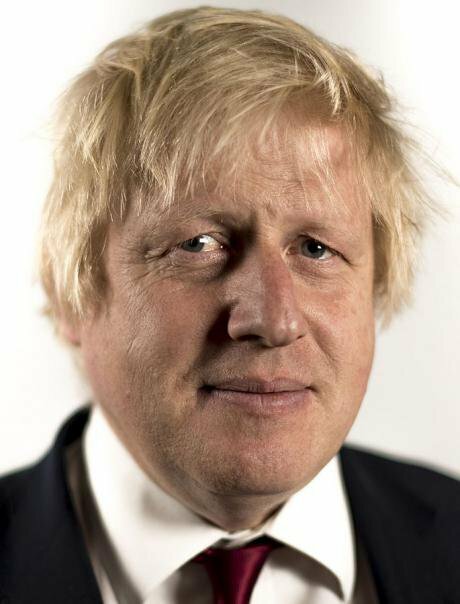 Boris Johnson, Secretary of State for Foreign and Commonwealth Affairs. Wikicommons. UK Govt. Some rights reserved. The British intelligence services warned in advance that military action by Britain against Iraq “would increase the threat from Al Qaida to the UK and to UK interests” (see Sir John Chilcot’s statement at the launch of his report on 6 July 2016). That warning, which Tony Blair kept from the British parliament and people, came true in the years following the invasion – al-Qaida activity in Britain increased “substantially” because of the invasion of Iraq, so much so that Tony Blair was persuaded to double the budget of MI5, the UK’s domestic intelligence agency, in 2003. Irrefutable evidence to that effect was given to the Chilcot inquiry on 20 July 2010 by Baroness Eliza Manningham-Buller, who was the Director General of MI5 from October 2002 until April 2007.
in the years after the conflict began in 2003. She replied: “Substantially”. She said there was hard evidence for this, for instance “numerical evidence of the number of plots, the number of leads, the number of people identified, and the correlation of that to Iraq and statements of people as to why they were involved, the discussions between them as to what they were doing”. So, there is no doubt that al-Qaida related activity in Britain increased “substantially” because of Britain’s participation in the invasion of Iraq. This activity included the London bombings of 7 July 2005, in which 52 people were killed and more than 700 were injured. If Britain had not participated in that invasion, it is almost certain that such an upsurge in al-Qaida related activity in Britain, including the London bombings, would not have occurred. Stating that is not a justification for the London bombings or other al-Qaida attacks. It is simply a statement of fact. Had Jeremy Corbyn’s “ardent anti-military” stance been adopted by the House of Commons on 18 March 2003, there would have been no British military casualties in Iraq and, most likely, no civilian casualties in London on 7 July 2005. Had Britain opted out of the interventions in Afghanistan and Iraq, the US would probably have invaded, and destabilised, these states without Britain’s help. However, had David Cameron refused to back President Sarkozy in his ambition to overthrow Colonel Gaddafi, the intervention in Libya wouldn’t have happened. David Cameron backed President Sarkozy enthusiastically, so Britain bears a heavy responsibility for the destabilisation of Libya and the other consequences of the intervention. The Security Council did authorise military action in this case. On 17 March 2011, it passed resolution 1973 by 10 votes to 0, with Brazil, China, Germany, India and Russia abstaining. This resolution authorised military action “to protect civilians and civilian populated areas” and banned flights by the Libyan air force over Libya. It did not authorise military action to overthrow Colonel Gaddafi, but that is how it was interpreted by Britain and France, the key players in the intervention. It did not authorise military action to overthrow Colonel Gaddafi, but that is how it was interpreted by Britain and France, the key players in the intervention. On 21 March 2011, two days after military action began, Prime Minister David Cameron allowed the House of Commons to have a say in the matter. In the debate, he assured MPs that the object of the intervention was not regime change and MPs voted overwhelmingly (557 to 13) in favour. Jeremy Corbyn was one of the 13 who voted against. A few weeks later on 15 April 2011, David Cameron signed a joint letter with President Obama and President Sarkozy demanding that “Colonel Gaddafi must go, and go for good”. With NATO air support, the armed opposition achieved that goal six months later and Colonel Gaddafi was killed. The consequences for Libya and its people have been dire: plagued with factional warfare, Libya quickly ceased to be a functional state. ISIS and other terrorist groups have freedom to operate. Weapons belonging to the Gaddafi regime have fuelled terrorism and instability in other parts of North and West Africa. 38 tourists (30 of them British) were killed on a beach at Sousse in Tunisia on 26 June 2015. Seifeddine Rezgui, the individual responsible for the Sousse attack, was trained in Libya. That would not have occurred had Colonel Gaddafi been left in power. The Tunisian Prime Minister, Habib Essid, told The Independent on 5 August 2015 that “the UK is partly to blame for creating the violent chaos that allowed the extreme Islamist movement to flourish in neighbouring Libya”. That cannot be denied. “The UK is partly to blame for creating the violent chaos that allowed the extreme Islamist movement to flourish in neighbouring Libya”. (For a comprehensive, and critical, appraisal of the UK’s role in the intervention, see the House of Commons Foreign Affairs Committee report Libya: Examination of intervention and collapse and the UK's future policy options published in September 2016). In April 2014, the Royal United Services Institute (RUSI) published a study, Wars in Peace, on Britain’s military interventions since the end of the Cold War. It concluded that these interventions have cost an extra £34.7 billion in defence spending. It suggests that a further £30 billion may have to be spent on long-term veteran care. Of the extra £34.7 billion, almost £10 billion was spent on operations in Iraq from 2003 to 2009 and almost £20 billion in Afghanistan from 2006 (when British ground forces were deployed to Helmand province) to 2013. The study concludes that these were "largely discretionary" operations, that is, wars of choice that Britain could have refrained from taking part in. Furthermore, RUSI judges these operations, and the air operation in Libya in 2011, to be “strategic failures”. For example, on the Iraqi intervention, it says "there is no longer any serious disagreement" over how the UK's role in the Iraq war helped to increase the radicalisation of young Muslims in Britain and that “far from reducing international terrorism … the 2003 invasion [of Iraq] had the effect of promoting it”.